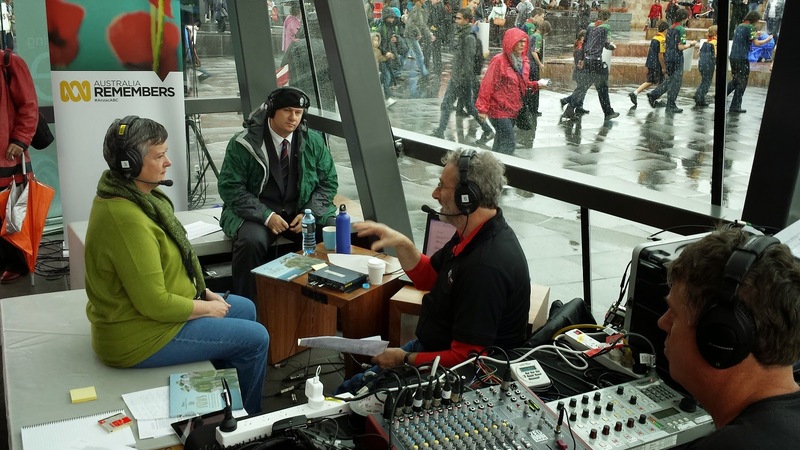 ABC Melbourne had an outdoor broadcast from Fed Sq today. Well, actually it was an inside outside broadcast but it was very different to being in a studio. 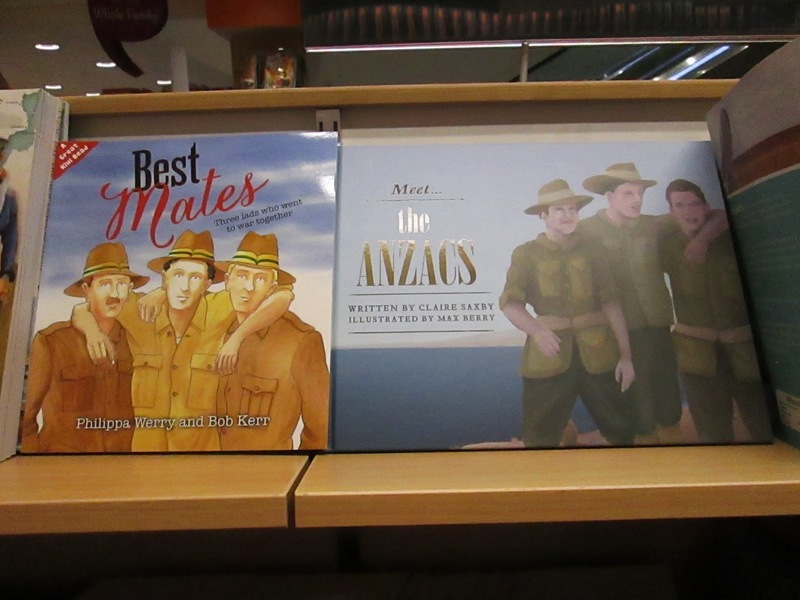 I was invited in to talk about ‘Meet the Anzacs’ and I don’t mind saying I was a little nervous. But we went in early enough to see most of the Anzac Parade first and that drained away my nervousness almost completely. We watched the descendants of WWI veterans parade by, then those of progressively more recent conflicts. As each group moved past there were more medals worn the left (active service). Such faces. Both on servicemen and their families. I, perhaps unreasonably, hadn’t expected to be so moved. So by the time I was in the ‘studio’ preparing to begin a conversation, I was ready to go. We talked about how to introduce war to young people. We agreed that tinned meat is something for dogs and that war is unspeakably dreadful. We also agreed that it is important that young people have connections to their history. With luck, understanding the horror of war will one day stop war from happening. We can only hope. 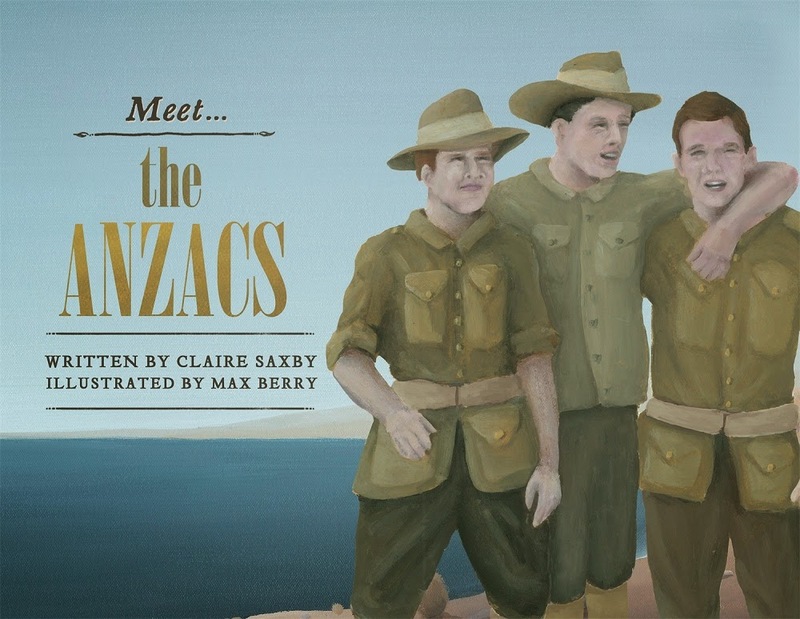 On Tuesday, I drove from Melbourne to Avoca to visit their primary school to talk about ‘Meet the Anzacs’. Over Tuesday and Wednesday, I presented to all grades and finished up with a presentation to adults at the local library. As always, there are questions that make me laugh (Can I have some more of that hard tack biscuit? It’s yummy! ), some that make me want to cry and the one that stumps me. Sometimes I’m stumped because I don’t know the answer, sometimes it’s because of the depth of their understanding. And there’s never, never enough time. The Grade 5 & 6 class wrote poignant poems about the 24 hours after learning their war is to begin. They also tested me on Army leadership structure. Luckily, I had notes and could answer their questions! Every class was prepared and keen to learn. A joy to be there. In between, and overnight, I was reading Sally Murphy‘s new book ‘1915‘. 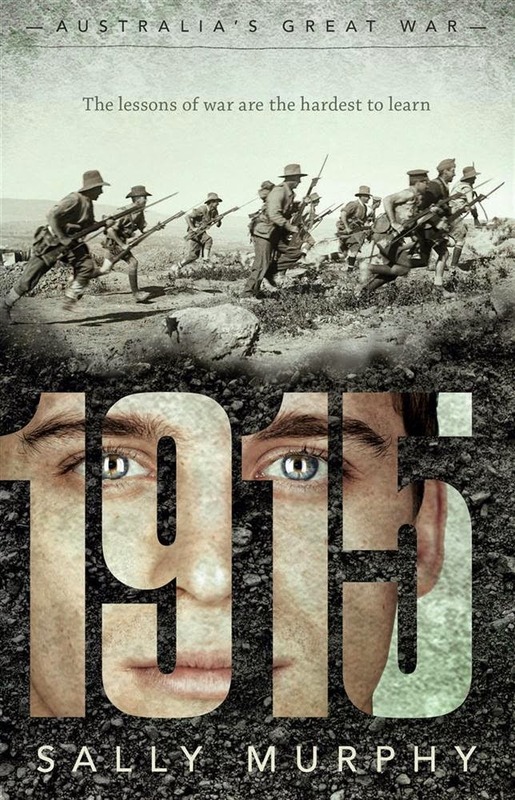 ‘1915’ begins where ‘Meet the Anzacs’ leaves off, overlapping its first few days with the last few in my book. 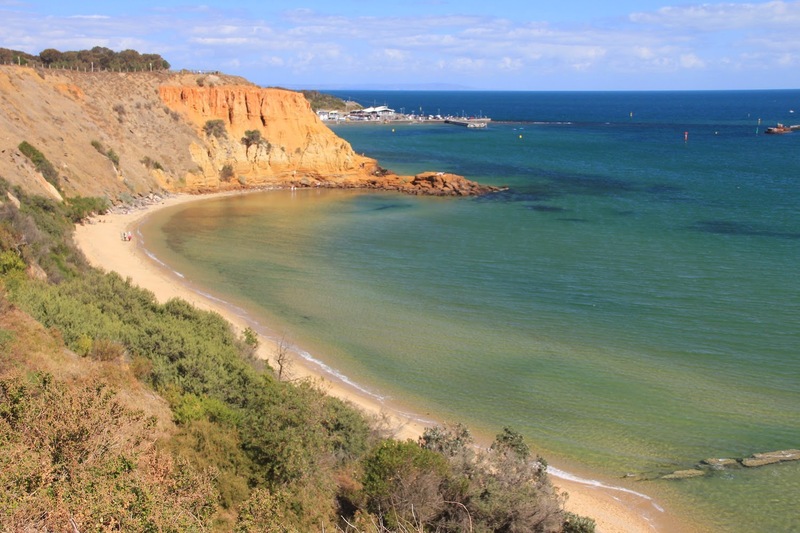 I liked that her main character, Stan, had a twin sister, Elizabeth at home in Bunbury who was teaching his class while he was away. This allowed the reader to know the effect of his enlistment on those left behind. Stan is a thoughtful and level-headed bloke, who makes friends readily and who is prepared to do as he has been asked, despite the challenges that presents. I did have to stop reading on Wednesday morning, or I would have had red puffy eyes leading into my school sessions. I think I would have struggled to talk about Gallipoli at all. Sally uses a variety of techniques to include many viewpoints on war. There are those of soldiers, of his parents, his sister, of ‘enemy aliens’, and of the Turks. War correspondent, Charles Bean, has a word or two to say as well, and there is discussion about what will become ‘The Anzac Book‘. Stan is a teacher, a brother, a son, a poet and a young man trying to make sense of war while simultaneously trying to survive it. I was cheering hard for him and holding my breath. Congratulations Sally on a fascinating and moving novel for young readers. To Anzac Day. 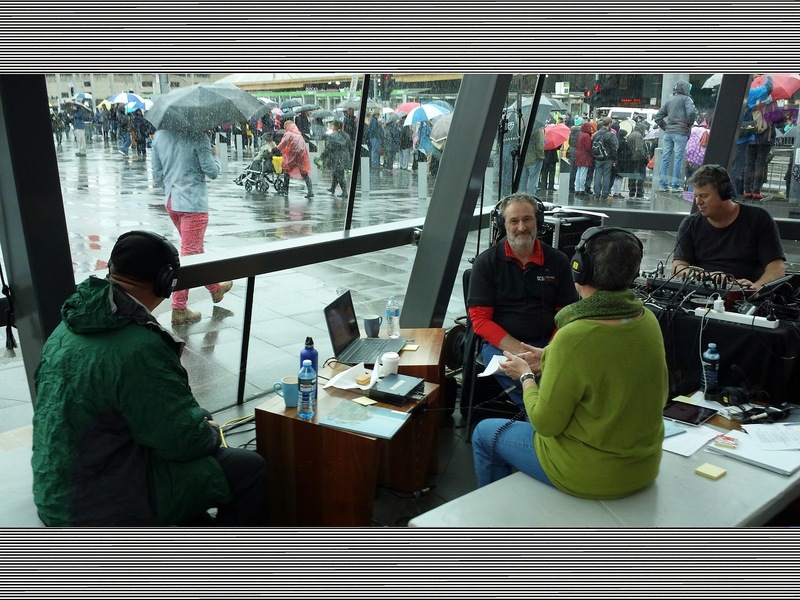 Tomorrow, at about 10.40 am, I will be ‘appearing’ on ABC Melbourne, as part of the live broadcast from Fed Square in Melbourne with Jon Faine, to talk about ‘Meet the Anzacs’. 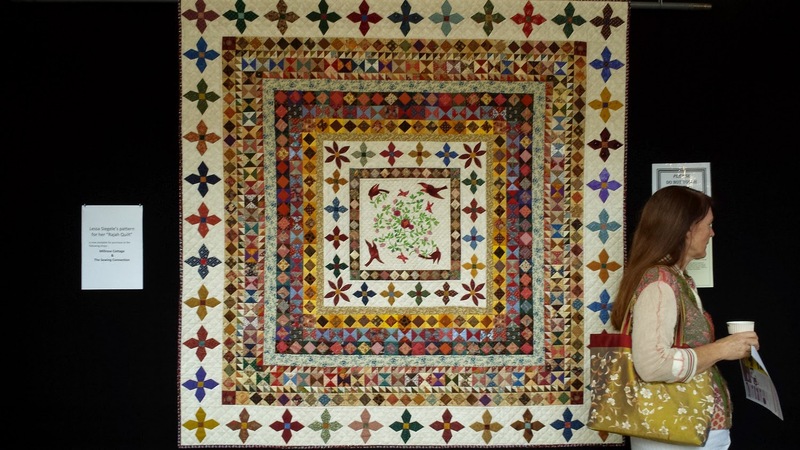 When I was working on edits for ‘My Name is Lizzie Flynn’ I discovered that there was a quilting award called the ‘RAJAH’. This had to be more than a coincidence, and of course it was. 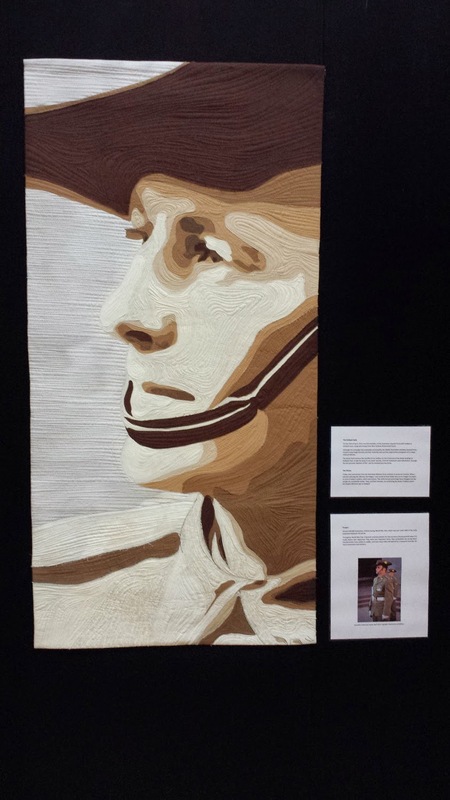 The Rajah award is given to a quilter who has contributed to the industry over many years. 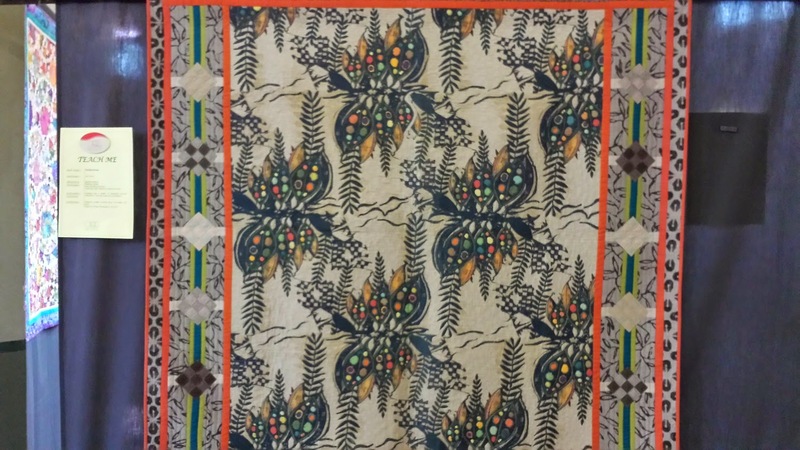 One of the recipients, Lessa Siegele, went on to research the Rajah quilt herself and to produce a pattern for quilters to make their own Rajah-inspired 1/4 size (but still 160 x 160 cm) quilt. This one is Lessa’s. 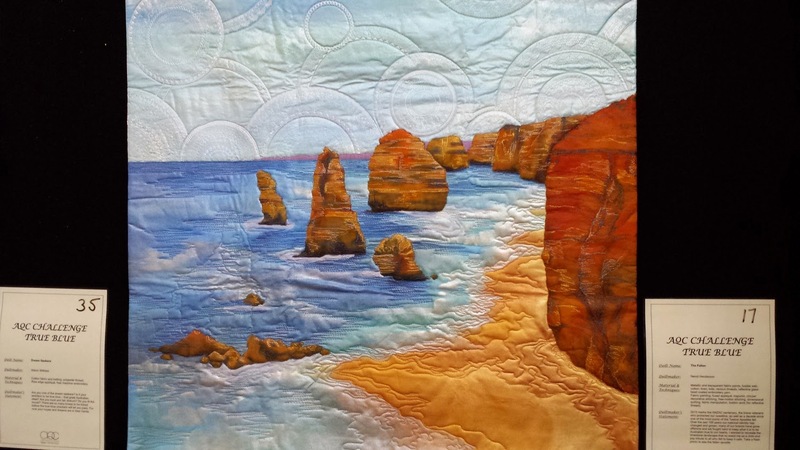 Yesterday, I met Lessa at the AQC (Australian Quilt Convention) and we talked about the Rajah (okay and the odd other thing). Lessa and I will be ‘in conversation’ at the upcoming Williamstown Literary Festival talking about the Rajah quilt. The Convention includes several themed challenges. This quilter (I’m sorry, my photo wasn’t good enough to also capture her name) won the challenge at the last Convention and her work was immediately identifiable. I’d love her to illustrate a picture book for me one day. 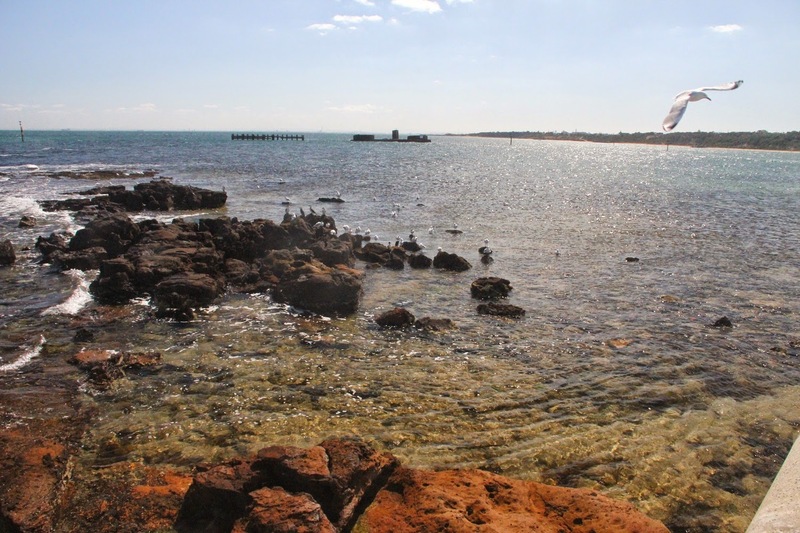 Twelve Apostles with flash – showing the most recently fallen Apostle. 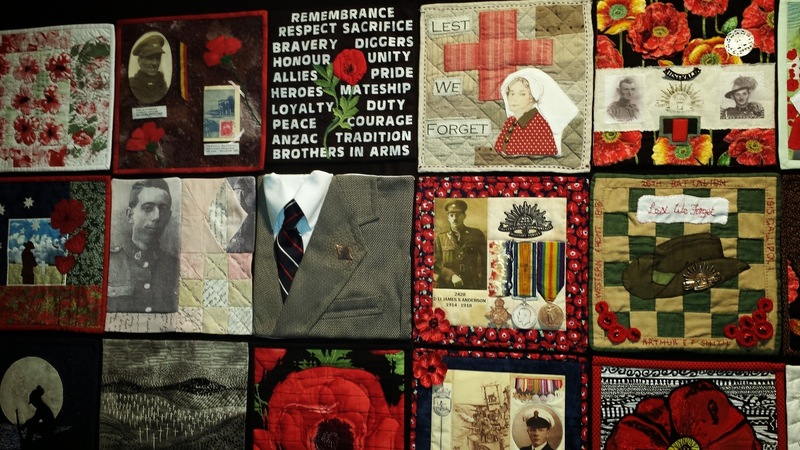 This quilt was one of a story sequence about a soldier, beginning with his enlistment and ending in a graveyard. 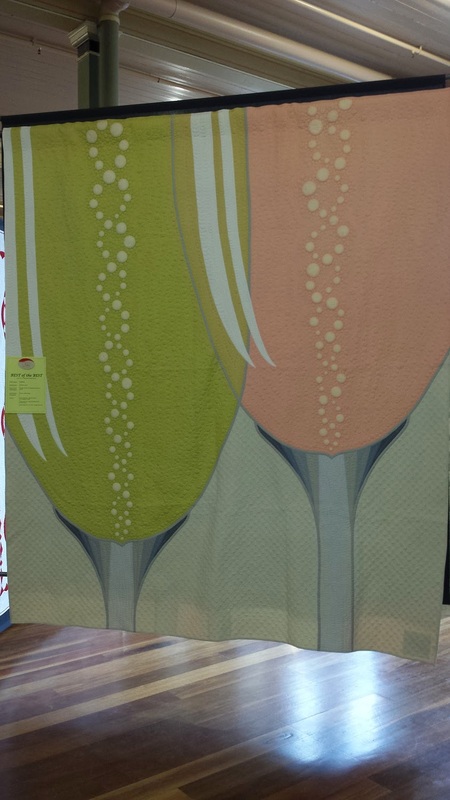 This quilt is about 2 m tall and about 1 metre wide I guess. 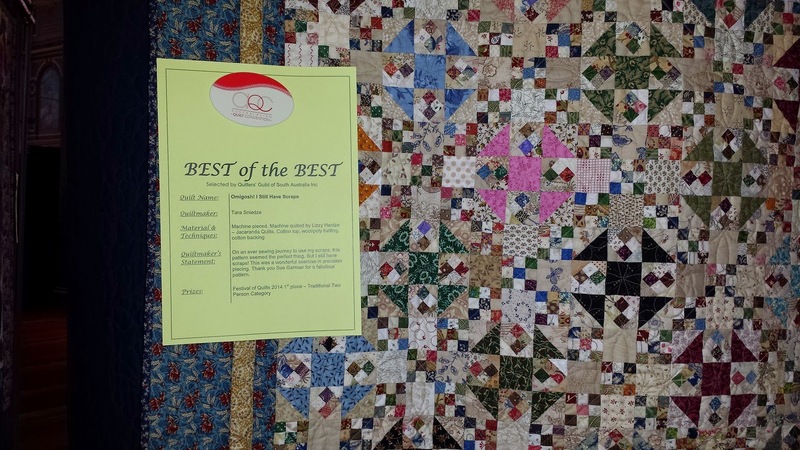 There’s also a Best of the Best exhibition with quilts from every state, or every guild. 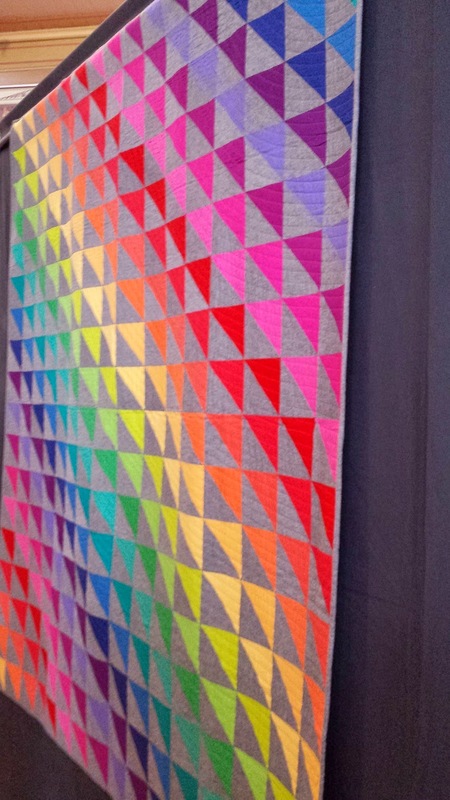 The smallest pieces of this quilt are around 2 cm square! These (approx 30 cm2) pieces depicted responses to WW1. 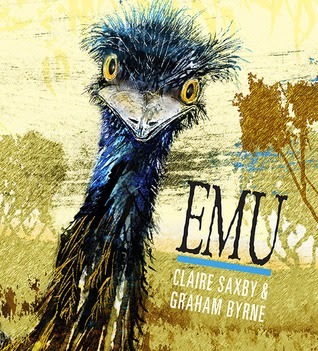 I am very excited that ‘Emu’ has been shortlisted in the CBCA Eve Pownall Award for non fiction. Winners are announced in August. The Notable list and the Short List can be viewed here. I will be ‘appearing’ on ABC Northern Territory on Monday at 3.35 pm to talk about ‘Emu’ and the shortlist. And after we’d just been ‘visiting’ each other – a nice coincidence! 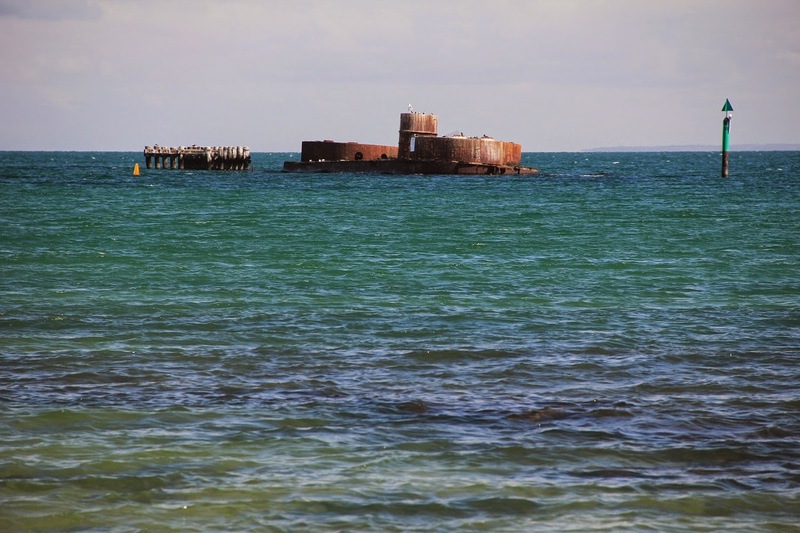 Who knew just how active a navy Victoria had at the turn of the 19/20 century? I hadn’t really thought much about it, although I was aware that Williamstown sailors were part of the navy that headed to China at the time of the Boxer Rebellion. Would love to explore that part of history more. I have a photo copy of a wonderful envelope, beautifully addressed and illustrated with several uniformed men. The address? To Hong Kong, or Elsewhere. Of course. This letter didn’t make Hong Kong in time, so had to follow the shipboard addressee further. It arrived somewhere sometime, because I’ve seen the actual envelope. Go postal service! 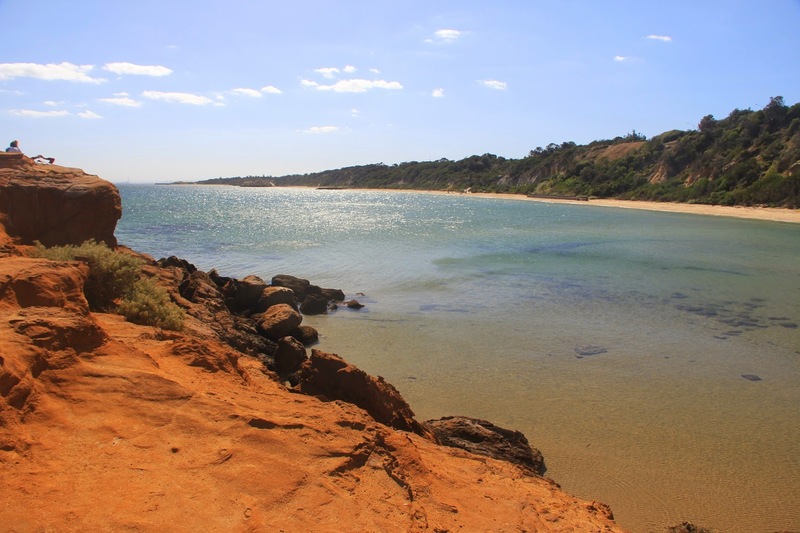 This view of Red Bluff has been captured by many painters, and it’s easy to see why. 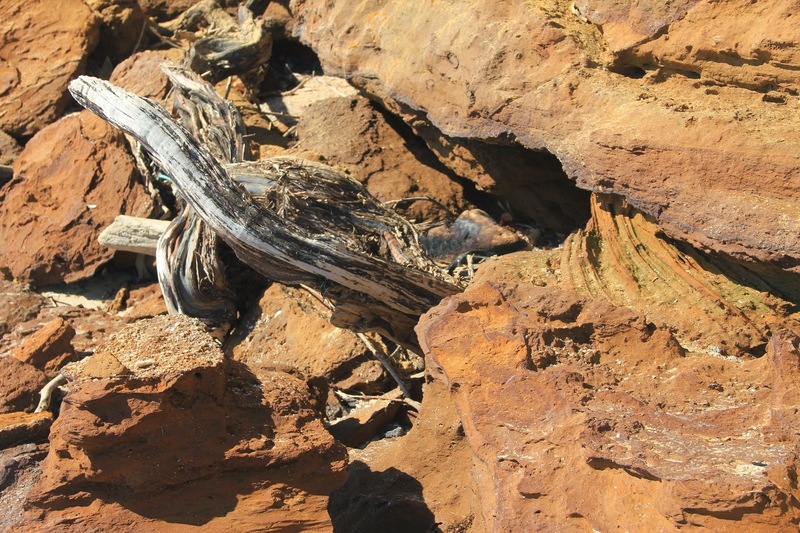 In parts, the windblown cliffs were positively otherworldly. Not content with one beach, we stopped at this one in Brighton too. There were so many people we suspected an event was on, but apparently not. Just others coaxed outside by the glorious weather. 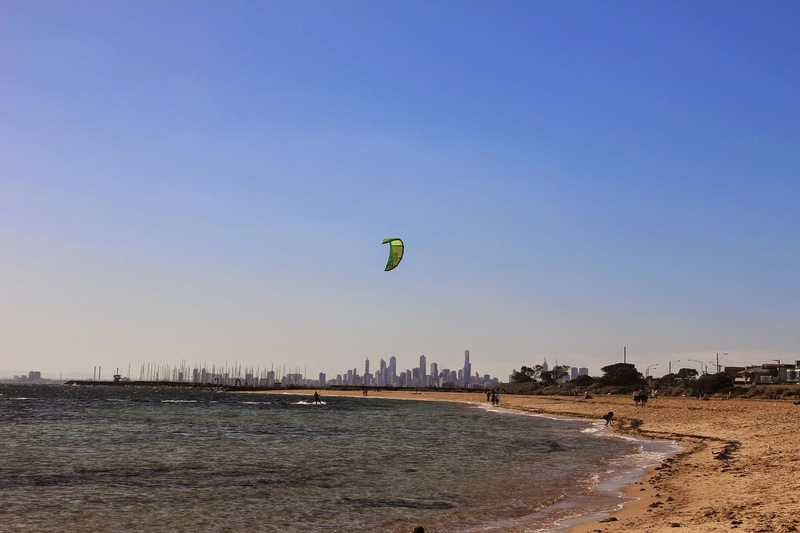 A lone kite-surfer enjoyed his beach time. Further around on the other side of St Kilda, there were masses of kite-surfers, a flock really. 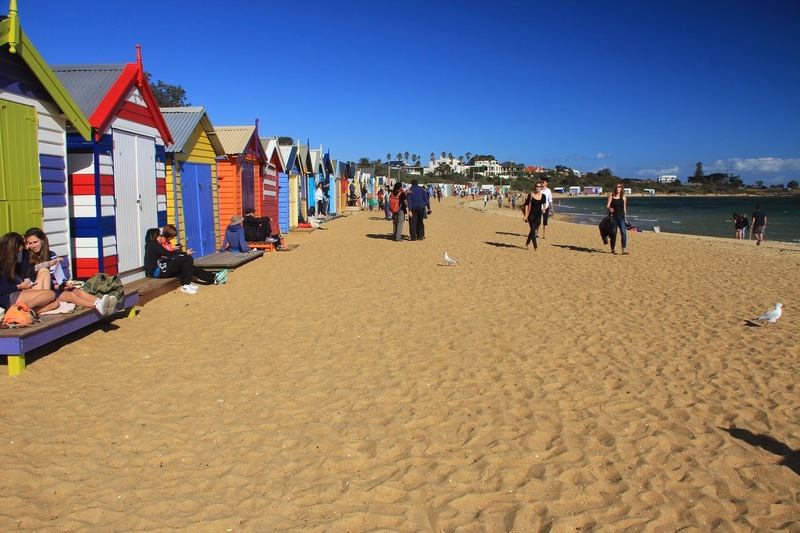 Another beach, and a walk to St Kilda’s Acland St. 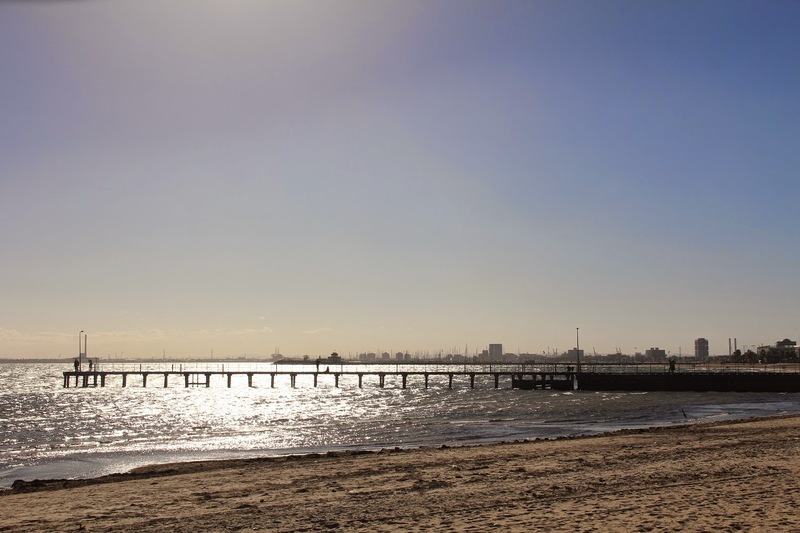 It might be quiet in some parts of town on a Good Friday afternoon, but not St Kilda. There were people everywhere. 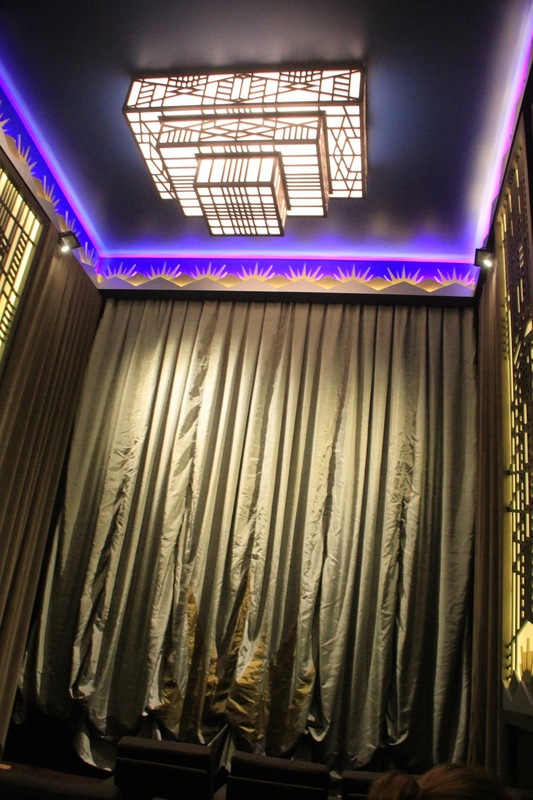 We finished of in the St George Cinema which is the newest cinema at Sun Theatre. It has 5 rows of seats, and each of them contain only single or double leather couches. Fabulous. We saw ‘A Little Chaos’ which was beautiful, even if we had varying opinions of the story.